Comments: I have several hundred eBay searches that I go through on a weekly basis. Over the past few years, since 2011, it's been tougher for them to produce an upgrade I need. Well, that's not the case with Gomez. I remember being surprised when this PSA 6 showed up . Before, I discuss that purchase I need to provide a little more history. 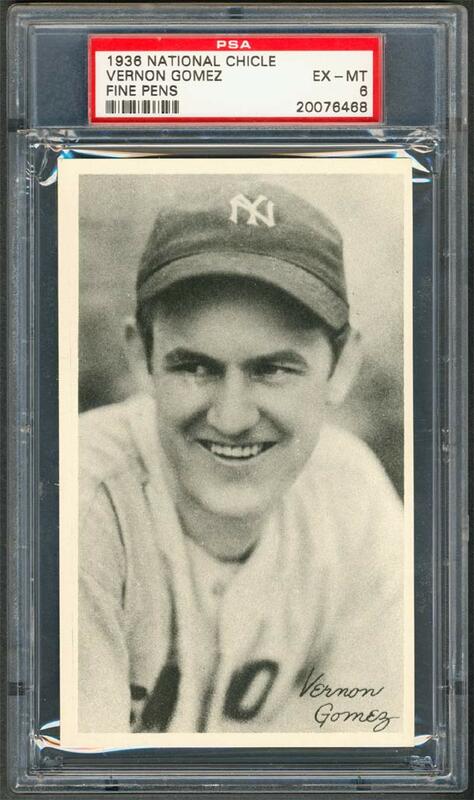 I started this player off with a 1941 Playball issue, a SGC 40 example, purchased on eBay in March, 2003. 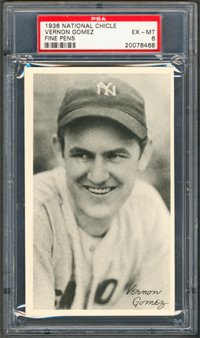 I remember switching it out with a 1936 Goudey example because I liked the image a lot more - first a PSA 5 and later a gorgeous PSA 8. 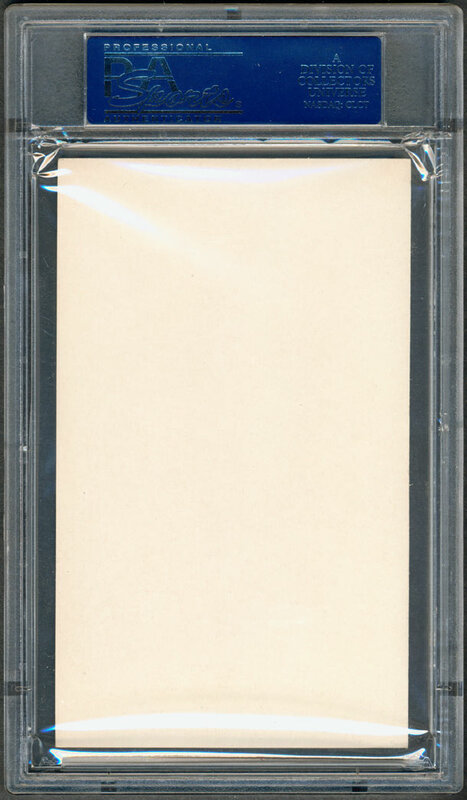 In October, 2005 I purchased a raw example of a 1936 National Chicle and followed it up with a PSA 3 purchased at the 2006 National in Anaheim, California from Joe Yanello (Joe's Vintage Sports). 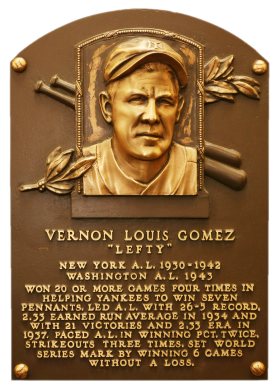 This was the issue for Gomez; loved his grin in the photo. In August, 2007 I purchased a PSA 5 - the highest graded example at the time. Then, in June, 2012 I was shocked when one of my eBay searched turned up this PSA 6 upgrade which I subsequently won from seller americanrarecoinstore. It was new to the population report, just graded, and the best example in the hobby ………so far.